British Labor Party leader Jeremy Corbin is starting a campaign against inequality that should be emulated by all (five, ten?) American politicians not controlled by big business. 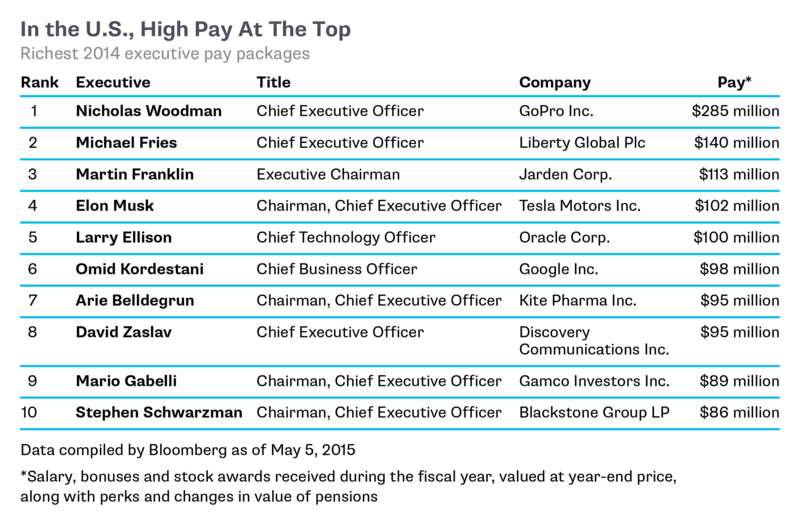 “One proposal is pay ratios between top and bottom, so that the rewards don’t just accrue to those at the top,” he said. Corbin is talking about real compensation – wages, salaries and bonuses – while many reports for the American public will note an executive $1 million wage, but exclude their $12 million bonus. That trick is good PR for the overpaid, but not good statistics when comparing worker to CEO. Also not mentioned is that company owners (with no work required) usually make much more than the executives. When comparing apples to apples, the mismatch is onerous. “Total direct compensation for 300 CEOs at public companies increased 5.5% to a median of $11.4 million in 2013, concluded an analysis by The Wall Street Journal and Hay Group. A separate AFL-CIO study of CEO pay across a broad sample of S&P 500 firms showed the average CEO earned 331 times more than the typical U.S. worker last year. In 1980, that multiple was 42,” according to a report in the Wall Street Journal in November, 2014. 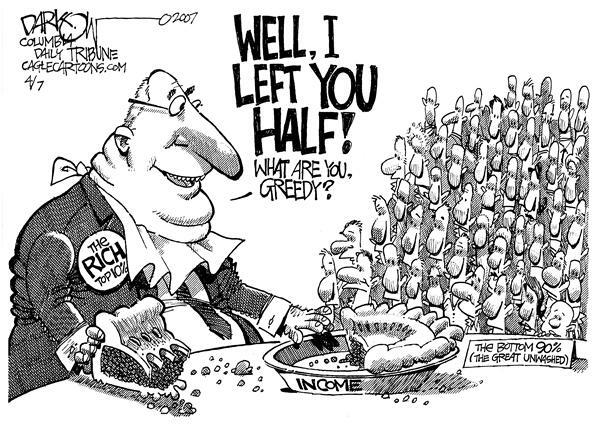 The record of being the most unequal of G7 nations – Canada, France, Germany, Great Britain, Italy, Japan, and United States – is a distinction without merit. So-called pay inequality solutions here include lowering the taxes on the highest paid, sheltering savings of the richest Americans, and maintaining government subsidies to the poorest workers (EITC), rather than really raising (not $10.10) the minimum wage. And those negative plans are the ones endorsed by many in the Democrat Party. Most in the GOP also want to privatize everything from national parks to public roads and schools – in short, anywhere a buck can be squeezed. “Another proposal would be to bar or restrict companies from distributing dividends until they pay all their workers the living wage,” Corbin explained. During the 2008 financial crisis, it was common that many, running for public office, also espoused caps on highest salaries to five or ten million dollars. Those suggestions ended, when the same politicians won elections, thanks to payoffs from the same greedocrats they had previously criticized. Corbin’s plan would vastly improve the economic health of the middle class, although at the expense of the mansion counters and their acolytes. The European Union (EU) imposed a cash cap on banker bonuses after the 2007 financial crisis, but some firms have been accused of trying to circumvent the rules. These are the same banks that have demanded vigilant enforcement of cuts to wages, pensions and worker benefits in Ireland, Greece, Italy and Spain to pay off banker loans to those countries. Corbin wants to expand current rules by proposing that those at the top of companies would only be allowed to earn a certain multiple of those on the lowest salaries. In Europe, companies are required to publish a single pay figure for each director in their annual reports, but there is no obligation to track their pay ratios. Britain’s High Pay Center estimated last year that the average FTSE 100 boss earned 150 times that of their average worker, compared with 47 times in 1998. Corbin has also championed lifelong education service, universal childcare and a large-scale house building program. All this, from the second most unequal country in the G7, which makes it look like we will be the infamous number one for a long time. Sad to reflect that implementing these ideas in the US will take an overhaul of many laws. We need working, unbought-and unbeholden legislators to write the bills and pass them and a president with courage to sign them.